Ultra-low profiles of 2.0 mm and 1212 case size – 3.0 mm by 3.6 mm footprint. 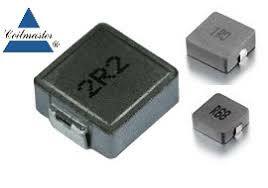 High frequency operation – up to 1 MHz for DC/DC converters . Standard inductance values from 0.47 μH through 10 μH . Large current handling capability .